As a Real Estate Agent, user-generated content (UGC for short) is one of the most valuable marketing tools you can use. 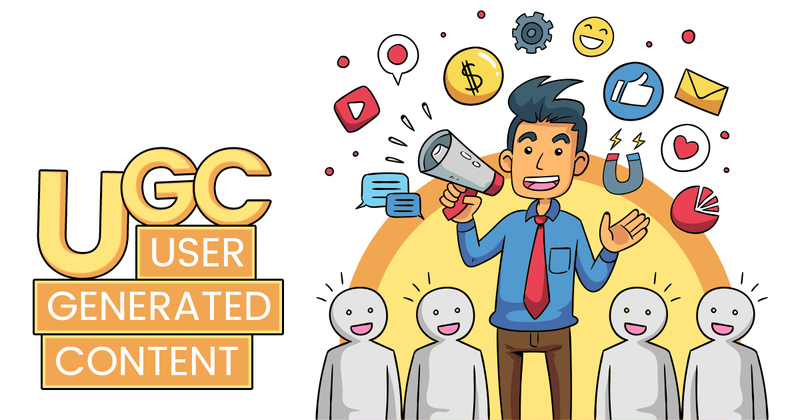 In today’s world, people can tell when something is automated, paid for, or just plain forced, which is why so many of us can benefit from genuine UGC in its various forms. User-generated content is content that’s, well, generated by users. Traditionally, this type of content is used by product-based companies to highlight people who are using their products. Think about people sharing pictures of their favorite skincare products on Facebook or sharing a new store they’re visiting on Instagram and tagging the store in their post or story. All of that is user-generated content… but that’s not all it is. And it’s not just for product-based businesses. UGC is actually a great way to stand out as a Real Estate Agent and to grow your real estate business. Of course, once you have a better idea of what user-generated content is, you can figure out how best to engage your clients and audience to come up with even more unique ideas. But why should you focus on UGC? Why should Real Estate Agents use UGC? 92% of people trust word of mouth more than any kind of advertising. User-generated videos get 10 times more views than brand-created content. 87% of consumers trust reviews and recommendations from family and friends who received a free brand experience. Customer reviews are trusted 12 times more than direct marketing. Two-thirds of people trust customers’ online posts and reviews. 85% of consumers find visual UGC more influential than brand photos or videos. Millennials say UGC is 35% more memorable than other media — and 84 percent say UGC has some influence on their decisions. 51% of Millennials also say that strangers’ user-generated content is more influential that content from their immediate network. Brand see engagement rise by 28% when using both professional content and user-generated video. Across all ages, 55 percent of consumers trust UGC over other forms of marketing. … should we keep going? Obviously, UGC has the data to back it up. So are you ready to start brainstorming? For Real Estate Agents, this could mean creating a giveaway for people who create videos about why they want to move to a new home. Points go to the person with the most shares, funniest video, etc. Of course, they’d need to tag your social media accounts and let you share with your audience! Other ideas: Set up a contest for a neighborhood or new home community video reviews. The ones with the most reviews — or the most unique settings — win. When you show a house to a client, ask them to take a selfie and tag you in it. Better yet, get in there with them! When that client shares the image on their social media and tags you in it, you automatically become more personable to people in their networks. Other ideas: Have clients share pictures of their moving day, closing, or even the first night in their new home. This sort of emotional content is what people will connect to your name down the road! 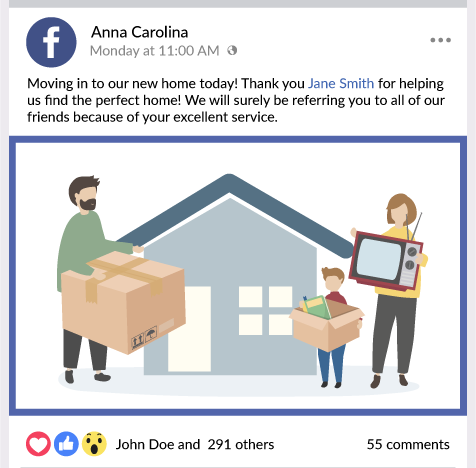 Whether you ask for a review to put on your website or for your clients to share on their social media, this type of UGC is very important for Real Estate Agents. 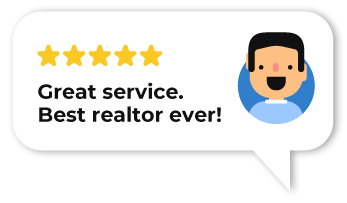 In the event that someone is looking for a Real Estate Agent and needs social proof, these are easy to find and evergreen. Other ideas: Make it a practice to request a review — and maybe give something fun to people who share that review on their social media. Hashtags are everywhere now, so take advantage. Branded hashtags are a fun way to monitor your UGC and give people a way to follow you besides just your own account. A fun example is the #ExploreGeorgiaPup campaign that tracked cute dogs doing fun things in Georgia. 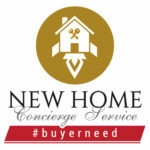 Think of something equally fun and creative for your real estate biz, like #HunterRealEstateHomeHunt or #NewHomeHunter. Follow it yourself and encourage your clients and followers to share their posts with that hashtag, as well. Other ideas: Follow other hashtags relevant to you, such as the neighborhood you’re selling in or local businesses. This can give you ideas for how they’re creating UGC that may be more relevant to your audience. Of course, these are just ideas to get you started… the fun really comes when you start thinking about your own audience and what you could do with them. Do you work with young families who are buying their first home? Maybe ask them to share what their new home means to them. Maybe you can be a guest on someone’s local podcast, or have them take over your Instagram for the day as they tour new homes. Anything novel and fun is what really attracts an audience, so don’t be shy! One last tip for UGC: Go where your audience is. Are they sharing videos on Instagram about the new homes they’re touring? Are they posting on Facebook? Do they love a good podcast? Finding the places you can share UGC is the best way to make sure it makes a difference in your biz! Here at Builder Boost, we are really serious about user-generated content and all the great things that come out of it. With our Builder Mission initiative, Real Estate Agents connect with onsite agents and share videos of their tour, and sometimes even go live with the other agent. This gets them highly involved in the builder community and also makes them stand out in a crowd, especially on social media. Want to get started with your own UGC efforts? Why not start with a fun visit to a builder’s new community and say “Hi” to the onsite agent? The best way to encourage this kind of interaction is to get out of your comfort zone and have a little fun. This builds connections and gives you a ton of ideas for how to engage your own audience, plus you can build connections that will help you grow your real estate business in other ways. Now get out there and have a little fun!